A database has been developed that brings together records of sea turtles from state and commonwealth government wildlife databases, newspaper articles, reports from commercial and recreational fish operators, and anecdotal sightings as early as 1889. 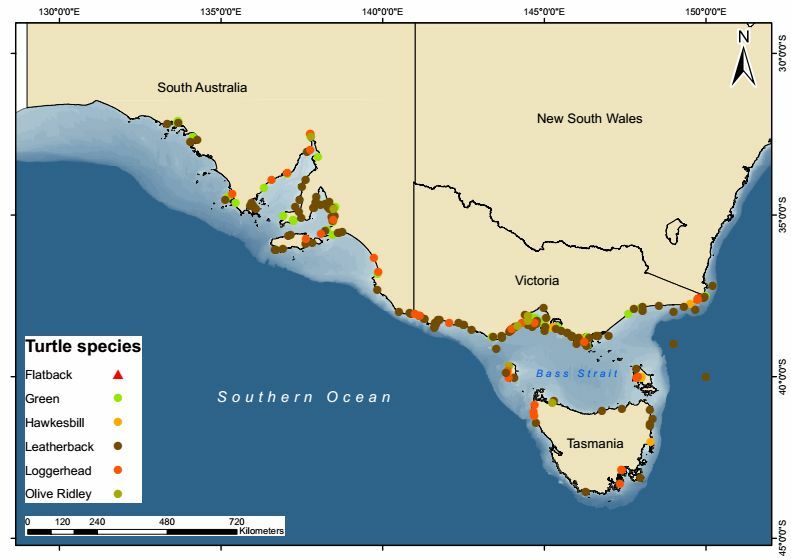 Since April 2014 we have gathered over 209 sea turtle sightings from all over the southern Australian region, including waters off South Australia, Victoria and Tasmania. The sighting records gathered so far are only scratching the surface with what we expect to be there. We currently have over 100 sightings and collection records to add from Tasmania which will dramatically alter the distribution of sightings on our current sightings map. 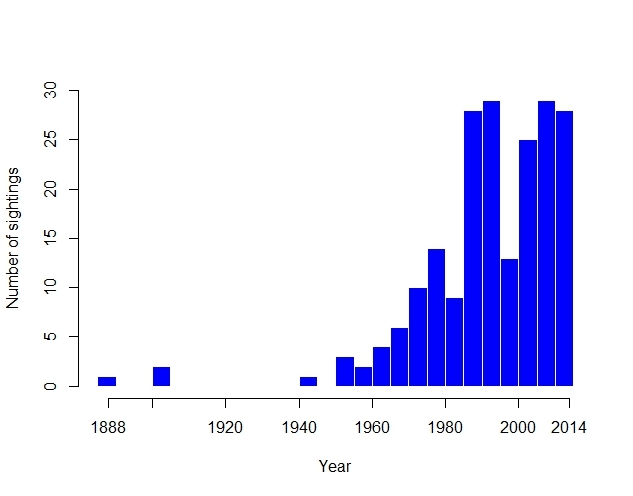 The data is already yielding important information on sea turtles for southern Australia. For example, all species of sea turtle have been recorded for these southern waters except the Kemp’s Ridley sea turtle. 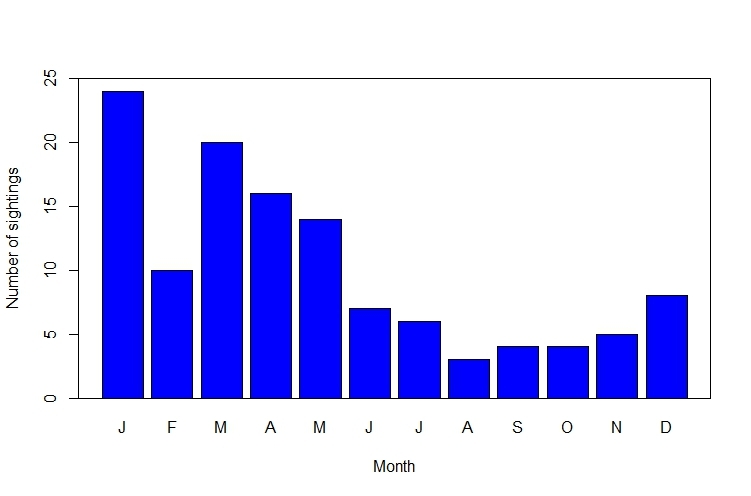 Leatherback turtles have the highest occurrence, and appear to be sighted more often in summer-autumn than the rest of the year (see figure below). If you would like more information about the Southern Australian Sea Turtle project and the database, including access to data, please email us at cie-sast@deakin.edu.au or via our contact form.